The End is Always the Beginning! The end is always the beginning! When you fail, love that moment. Because it teaches you how to face Life! Failure always prepares us for trying better the next time! The reason why all of us struggle with coping with failure is because we think we are in control. We feel we have put in the best effort. And so, we believe, we must pull off every plan that we embark on. In a way it is our ego, of us knowing what the outcome will be, that makes our failures unbearable. On the other hand, failure can be a great motivator if we shed our ego. When we understand that what’s within our control are only the motive, the means and the effort. Beyond that we don’t have any control and therefore no right to the outcome. When this thinking is firmly established in our sub-conscious, we will treat failure as a teacher. And worship failure than abhor or loathe it! 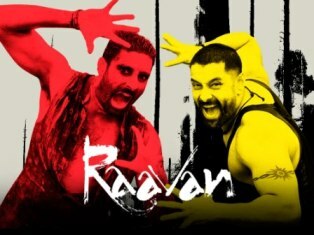 Abhishek and Vikram: Expressive and Intense! 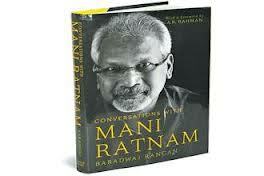 Yesterday I had the opportunity to meet and converse with one of India’s finest film makers, Mani Ratnam. A good friend, and one of India’s finest cinema critics, Baradwaj Rangan’s new book ‘Conversations with Mani Ratnam’ was launched by Penguin yesterday. And I caught up with Mani on the sidelines of the event. Everyone around there at the event was keen to talk of and toast to Mani’s fine body of work, and his most successful films. I wanted to learn from him how he dealt with failure. That’s a great quality. A mark of a winner. To be himself in the face of both success and failure. When you fail, despite your best planning and efforts, it only reinforces that the Master Plan has no flaws. So, that moment of failure does not call for grief. It calls for exultation, celebration. Because you have just discovered something that has the potential to break your ego __ which is that YOU are NOT in control of any of the outcomes of your efforts! And why would anyone not want their ego bubble bursted? Because only in the absence of the ego does bliss arrive and thrive! When the ego dies, a new awakening, a new YOU is born! Which is why the end is always the beginning. So, love it, love yourself when you fail. Because you have one more opportunity at Life and__hopefully, intelligent__living! Author AVIS ViswanathanPosted on December 4, 2012 March 14, 2016 Categories Ego, Failure, http://schemas.google.com/blogger/2008/kind#post, Intelligent Living, Learning, Master Plan, Planning, Success1 Comment on The End is Always the Beginning!